All criminal cases, whether a misdemeanor or a felony, begin in district court in North Carolina. Most misdemeanor cases are disposed of (resolved) at the district court level. This blog discusses the district court criminal appeals process in North Carolina. In North Carolina, trial court has two levels – district court and superior court. Misdemeanor pleas and misdemeanor trials are handled at the district court level. Misdemeanor appeals, felony pleas, and felony trials are handled at the superior court level. You can appeal a case or a verdict following a trial in both district court and in superior court. The main distinction here is that in district court, there is an automatic right to a new trial, which we will discuss below. When you appeal a district court case, your case will start over. Your slate will be wiped completely clean, and you will have another chance in superior court. This is different from an appeal that comes from superior court. Those appeals are much more limited. You do not get a clean slate at this stage. Rather, only the issues that you specifically preserved for appeal in the trial phase will be examined by the higher courts. There is an absolute and automatic right to appeal at the district court level in North Carolina criminal courts. This is a statutory right that is afforded to all criminal defendants in North Carolina. This is, in part, due to the limited rights that criminal defendants have at the district court level. For example, there are no jury trials in district court. All trials that take place in district court are bench trials. Meaning, they are trials decided by a judge rather than a jury of 12 peers. However, criminal defendants have a constitutional right to a jury trial, which they can always get if they choose. Another distinction between district court trials and superior court trials in North Carolina criminal courts is that there is very limited right to discovery in district court because there is no statutory right to discovery. You are only entitled look at certain public documents. This is limited and does not provide criminal defense lawyers with much information. Long story short, while your rights are somewhat limited in district trial court, this is remedied by the fact that criminal defendants have an automatic right to appeal. What cases can a criminal defendant appeal? Any case can be appealed at the district court level. It does not matter how your case was disposed of. Whether a judge or jury finds you guilty, you plead guilty to the original charge, or your plead guilty pursuant to a plea deal, you can still file criminal appeals for your case and move your case up to superior court. When this happens, your case will be dismissed from district court and sent up to superior court where you can eventually get your jury trial. You have ten calendar days to give notice of appeal. The clock starts ticking the moment that the district court judgment is entered. Your criminal defense lawyer will enter a notice of appeal your case orally in open court or will file a written notice of appeal. If she appeals orally, typically, she will do that after immediately after the judge sentences you. If she files a written notice of appeal, she will do this within ten days following the entry of judgment. I appealed my case but changed my mind. What can I do? In the same way that you have ten days from judgment to appeal, you have ten days from judgment to withdraw an appeal. 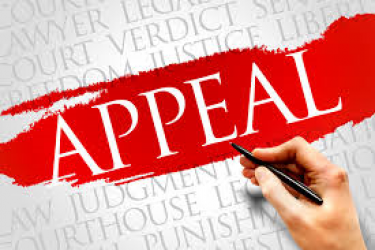 You can withdraw criminal appeals within ten days of judgement being entered by filing written notice. I was convicted in front of a magistrate, not a judge, do special rules apply? If you are convicted in front of a magistrate rather than a judge, you can appeal your case to district court. You will then go through the district court process and can appeal again at that level. Note that most misdemeanors convictions occur in front of a judge in district court. This is something that you will need to discuss with your criminal defense lawyer. There are strategic decisions regarding if and when to appeal a case. In addition to the strategic decisions, there are monetary and time considerations. This is something that you should discuss with your criminal defense attorney. If you have been charged with a crime in North Carolina or South Carolina, contact a criminal defense lawyer to discuss your options.